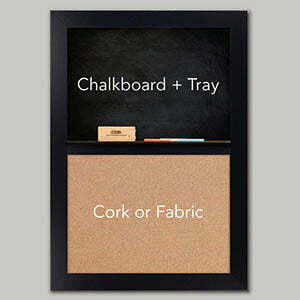 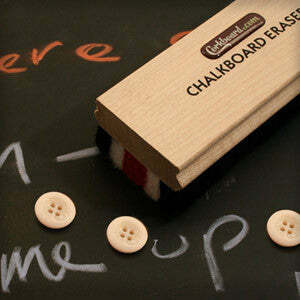 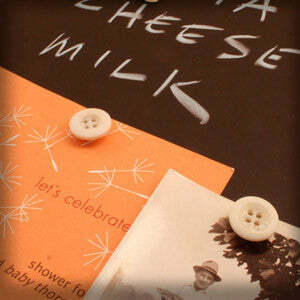 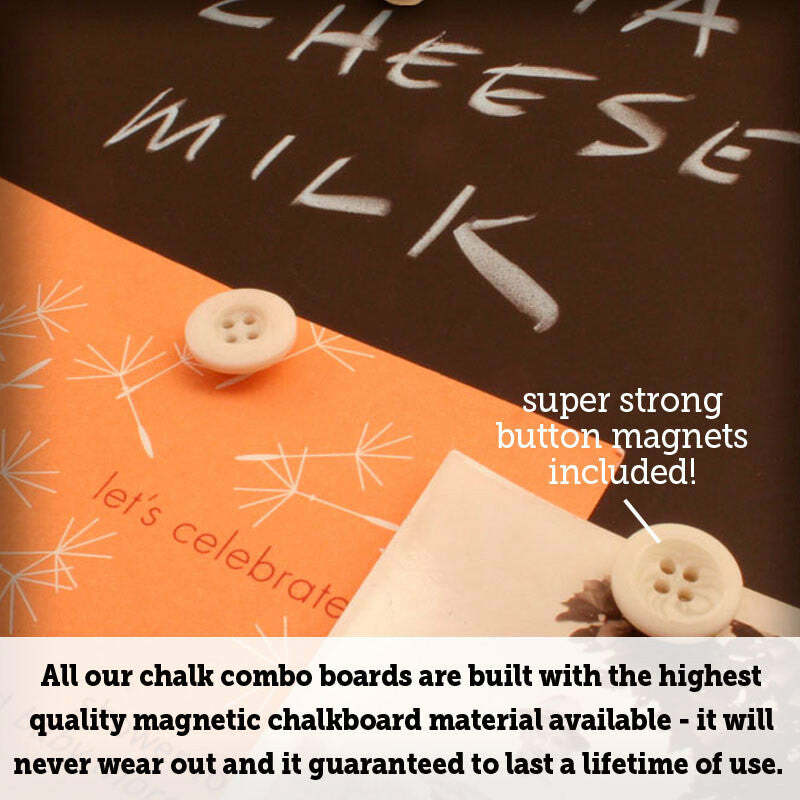 Home / Collections / Chalk Combo Boards / Chalk Combo Boards 30" x 24"
Use our combo boards as a stylish way to write notes and reminders, a list for the market or pinning photos, artwork or a calendar. 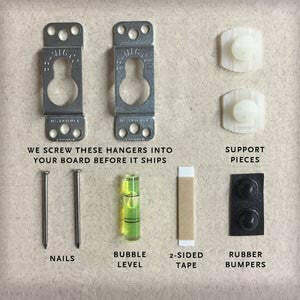 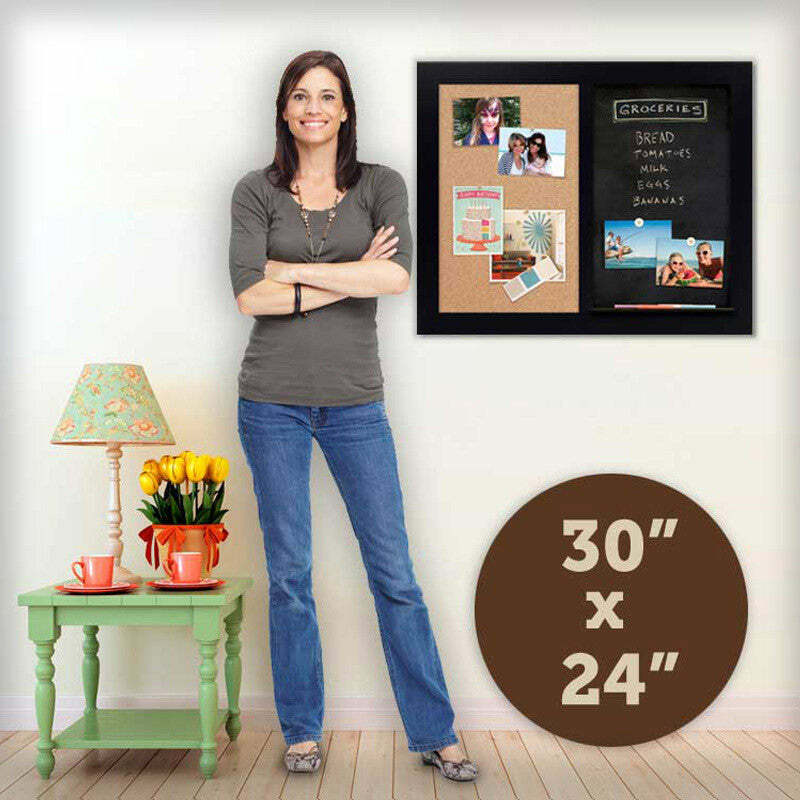 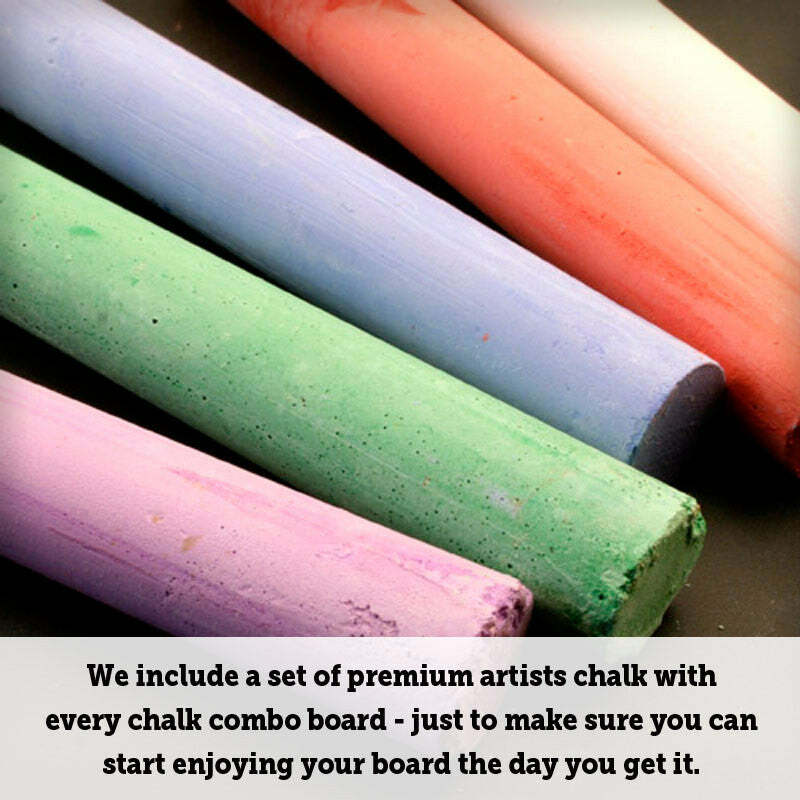 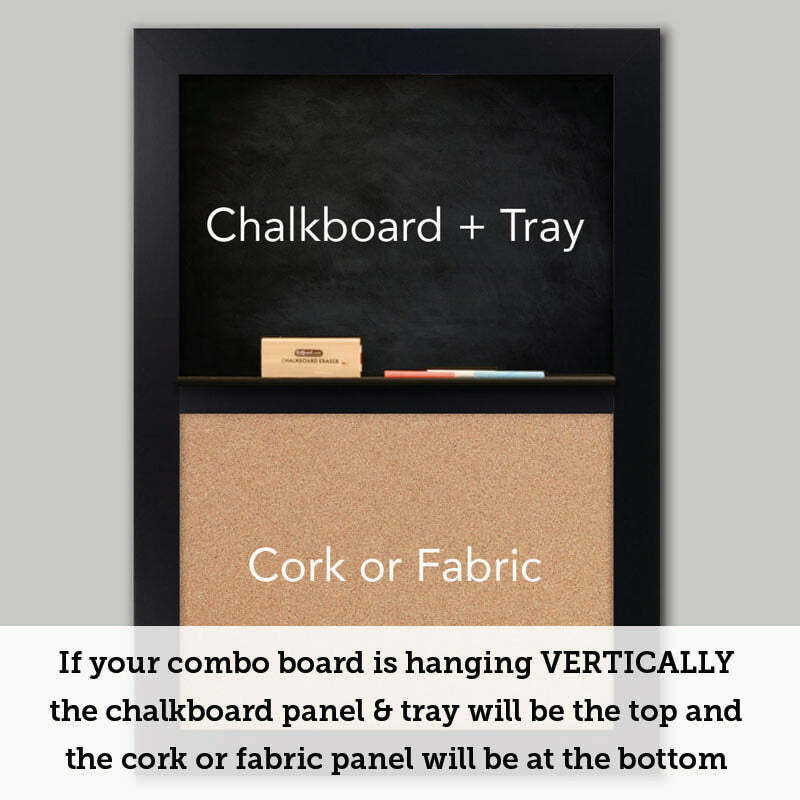 To make sure you can start enjoying your 30" x 24" chalk and cork board combo board right away, every board ships with our easy to install hanging system. 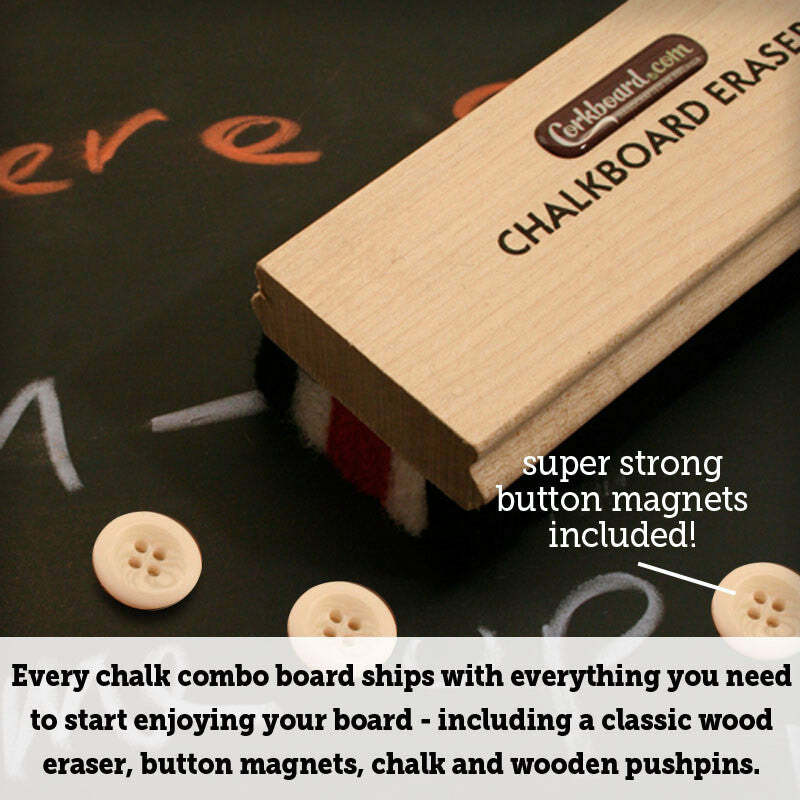 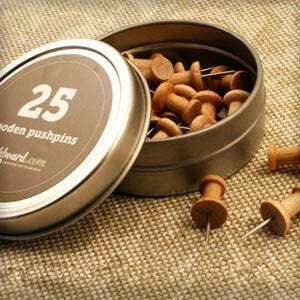 We also include a beautiful set of premium chalk, a classic wood eraser, a set of button magnets and of course a set of our awesome wooden pushpins. 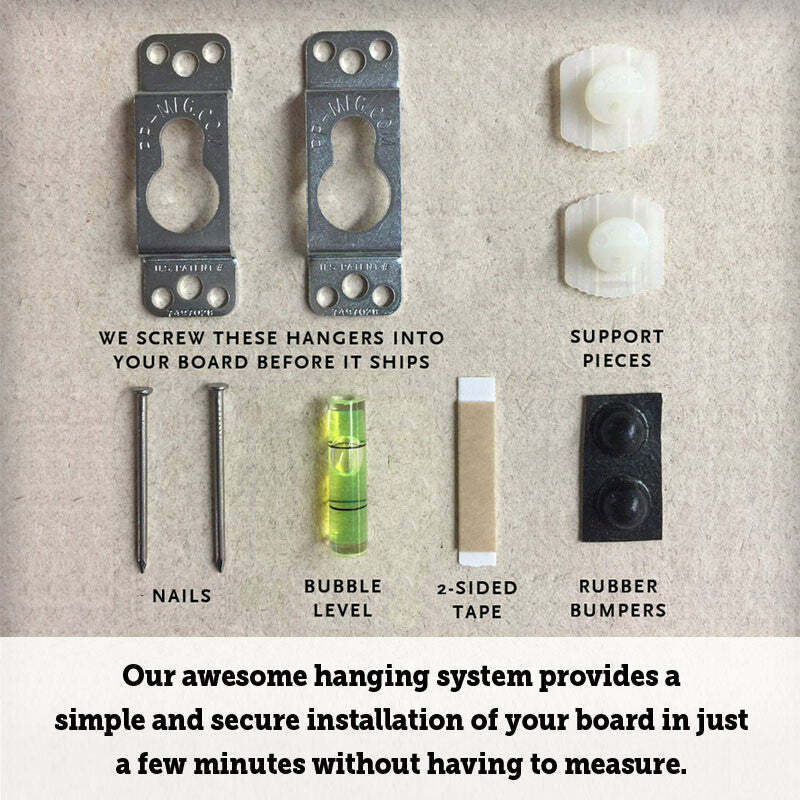 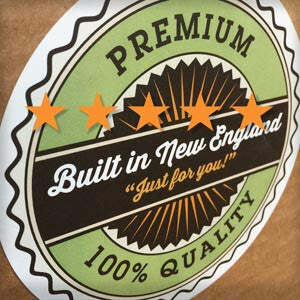 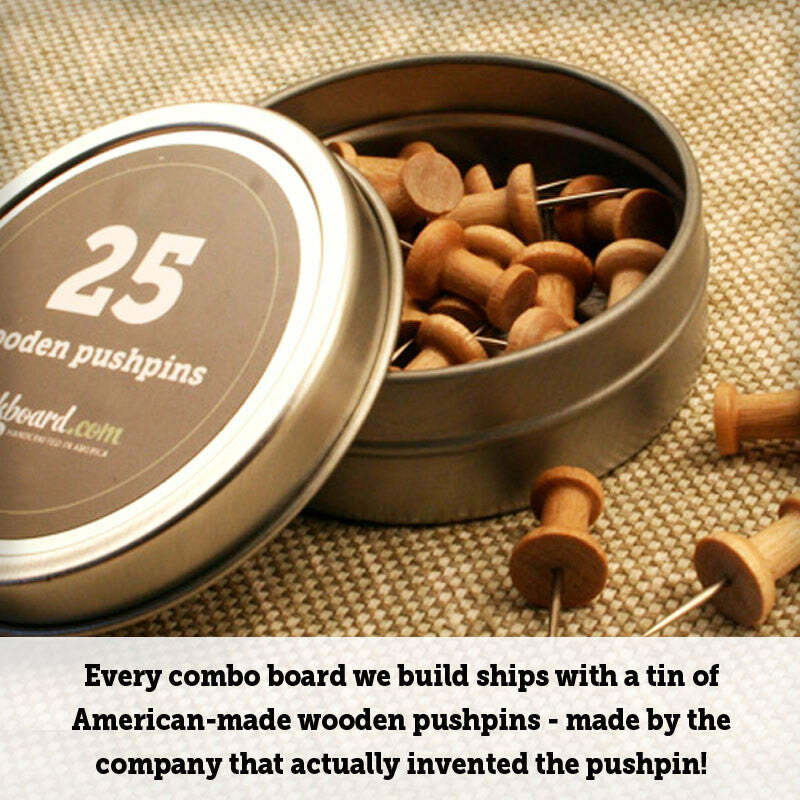 To see the details that go into all our boards click here.